This is Oxxus the Bim‘s original illustration of a sky jelly, from which I took inspiration for this line drawing (which you may remember). I’m planning on releasing some hard copy extracts from Oxxus the Bim’s journals in the near future, which will include his original illustrations alongside my translations of his annotations. 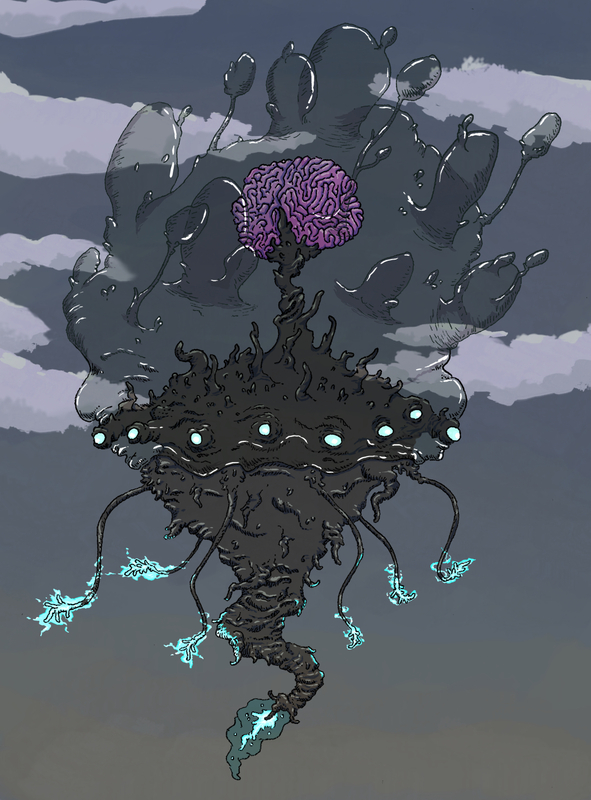 This entry was posted in Chronicles of the Tales of the Sagas and tagged Brain, Cloud, D&D, Dungeons & Dragons, Dungeons and Dragons, electricity, Fantasy, Jelly, Jellyfish, Lightning, Oxxus the Bim, Sci Fi, Steampunk. Bookmark the permalink.